Yes, a headlamp. You don’t have to buy an expensive headlamp to get the job done. 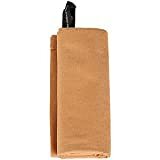 They can range in price from new on Amazon.com, $6 without shipping to over $100. If you are using your headlamp in cold weather it is worth noteing that the lithium battery headlamps are better than having to sleep with your batteries. MSR PackTowl UltraLite. This gift is one most campers want but can’t see buying for themselves. They say to themselves “I can’t buy a lightwaight rag for $10.” Let me tell you the truth about this towel, it is worth every penny. You have to own one and use it to believe it. I love mine and wont go on a long hike without it. Superfeet footbeds, these are a must for hiking long distances. The footbeds take a couple of days to get used to so don’t wear them all day to start. Start with a short day then wear them longer each day until you get used to them. They will be worth it in the long run. These are around $35 and are made to be trimmed to fit your boot size. 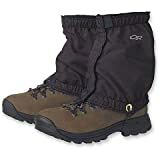 OR Rocky Mountain Low Gaiters. This gift is the hiker gift. Gaiters are not just for snow. The low gaiters keeps the morning dew as well as trail dirt out of you boots. I love ‘em. Maps, maps, maps!! Hikers love maps. If you know where your hiker likes to hike then you could get the topographic map for that area. If you have the cash you could by the topo map software that is awesome. Enjoy the holidays and get out and go hiking. If you want to support the site you can click the link to Amazon or REI and buy somthing.